Care for our community, locally and globally. 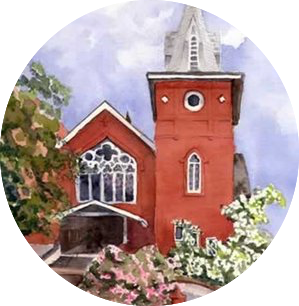 The people of Oak Bay United Church are rooted in the traditions of the United Church of Canada. We are a progressive christian community, practicing the radically inclusive and egalitarian way of Jesus Christ. We find authority for our lives in God’s presence in Scripture, reason, human experience and church tradition. The leadership and gifts of all people are welcome at Oak Bay United: women, men and transgender; children, youth, young adults, adults and elders; straight, lesbian, gay, queer or questioning; seekers, doubters and believers. We trust that we all have something of God to share: experiences, knowledge, questions and beliefs. We hope that you’ll bring these things with you, enriching this community of faith. Whether it’s your first time here, or you call this church home, your presence makes a difference. As an Affirming congregation, recognized by Affirm United, Oak Bay United works for the full inclusion of people of all sexual orientations and gender identities, in the United Church of Canada, and in society. We are honoured to gather on the traditional territory of the Songhees and Esquimalt Nations who, for many thousands of years, and to this day, have sought to walk gently on this land. We seek a new relationship with the Original Peoples of this land, one based in honour and deep respect. Oak Bay United Church has a long history of presence, identity and ministry, tracing its roots back 120 years to two founding communities. In 1885 the ministry unit known as the East Fernwood Mission became St. Columba Presbyterian Mission, and in 1895 St. Columba Presbyterian Church engaging in ministry from their location at 1602 Hulton Street (now Redfern Street). With vision, commitment and passion this community created the building that still stands today. On Sunday, November 8, 1914 St. Columba Presbyterian Church celebrated the dedication of their new sanctuary at the corner of Granite and Mitchell Streets. On March 7, 1926 St. Columba Presbyterian Church and Hampshire Road Methodist Church, amalgamated under the auspices of the newly formed United Church of Canada, and held their first service as Oak Bay United Church, meeting in the St. Columba building at Granite and Mitchell Streets. We remember and honour the visionary and sacrificial leadership of our brothers and sisters in faith whose service to the world included the creation of a beautiful and intimate sacred space in which to worship and grow as disciples of the way of Christ. Our Granite & Mitchell Street building is powerful in the strength of its presence as a touchstone for the community of Oak Bay and in the echo of faithful lives who trusted that all things are possible in God’s love. The sanctuary established in 1914 served our community for many years and inspired the faith of generations through its eloquent architecture and aesthetics. More significant is the quality of ministry that took root within that sanctuary and poured abundantly through its doors out into the world. On September 24, 2006, the congregation voted unanimously to focus all energy and resources on renovating and rebuilding the old sanctuary. We reignited our passionate determination to continue the legacy of ministry on the historical site at Granite and Mitchell Streets.